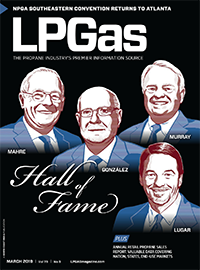 Propane safety director highlights policies, procedures and software Posted on 21 Mar 2019 in the Featured Video categories. How to affordably integrate video into your marketing arsenal Posted on 12 Mar 2019 in the Blue Flame Blog categories. How to find the right training methods for your propane operation Posted on 20 Feb 2019 in the Featured Video categories. Propane exported to other PADD regions, stock watch Posted on 20 Feb 2019 in the Propane Market Metrics categories. 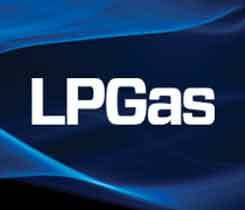 Attorney shares case examples with propane professionals Posted on 06 Feb 2019 in the Featured Video categories. PERC Safety & Technical Training Working Group update Posted on 31 Jan 2019 in the Featured Video categories. The information age’s effects on business Posted on 25 Jan 2019 in the Current Issue & Featured categories. 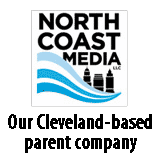 PR firm advises propane industry on crisis communication plans Posted on 23 Jan 2019 in the Featured Video categories. Propane safety conference focuses on emergency response, crisis communication Posted on 17 Jan 2019 in the News categories. Propane production moved by rail, stock watch Posted on 15 Jan 2019 in the Propane Market Metrics categories.